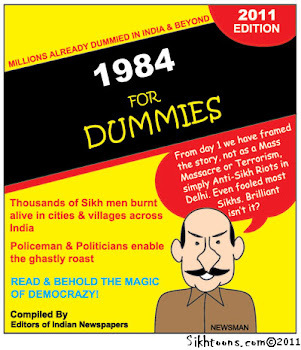 THE ROAD TO KHALISTAN: The Beard of Swaran Singh - Part Two. The Beard of Swaran Singh - Part Two. I am sitting here near Seattle on the hottest day ever recorded here. 102F, 38.9C. Not all that hot in Amritsar or Las Vegas, but deadly hot to these weak Seattlites. I'm OK, with a fan and a spray bottle of water. I know I have posted about Bhai Swaran Singh and his beard before, but I just came across this Youtube video and want to share it with you. Mar. 11 - A Canadian man who has grown a beard that measures over seven feet long is all set to be endorsed in the record books. Swaran Singh, a music teacher from Canada who is visiting his native Punjab, is the pride of all the Sikhs for sporting a beard that measures over 7 feet long. He expects it to be endorsed in the Guinness Book of World Records. 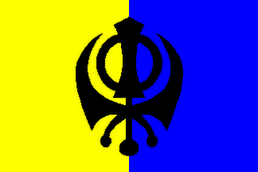 As a devout Sikh, Singh wanted to inspire the young members of his community to retain the hair and not crop it. 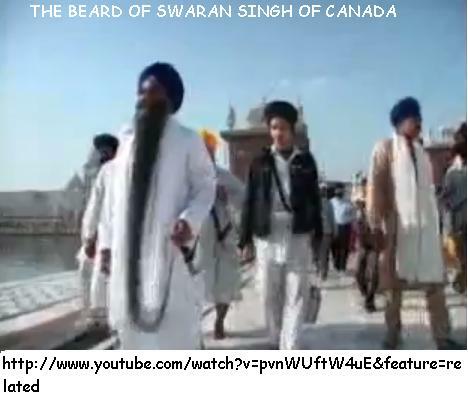 (SOUNDBITE) (Punjabi) SWARAN SINGH: "God blessed every man with beard, but I have received special blessing from Him. I have done nothing special except caring it (beard). I have never applied any special hair oil on my beard and of course, I haven't done this for the sake of Guinness record." Happy summer to all (in the Northern Hemisphere). Happy winter to you in the hemisphere of Oz.